Life is messy. Things happen. S and G are widows. Each of them had had a spouse who battled and lost to the same aggressive brain cancer within just a couple years of each other. S and G didn’t know each other. They each grieved separately for years, both having had wonderful marriages that they weren’t ready to let go of. They also happened to know the same hairdresser. Many times, when one of them would come in for a haircut, the hairdresser would ask if G or S were open to the possibility of dating. Being a good hairdresser, she listened to their stories year after year. As the years passed, and as S and G separately processed their grief, they each slowly became open to the possibility of a 2nd love of a lifetime. S and G still didn't know each other. So the hairdresser introduced them. Not taking marriage lightly, they took over 5 years to get to their wedding day. 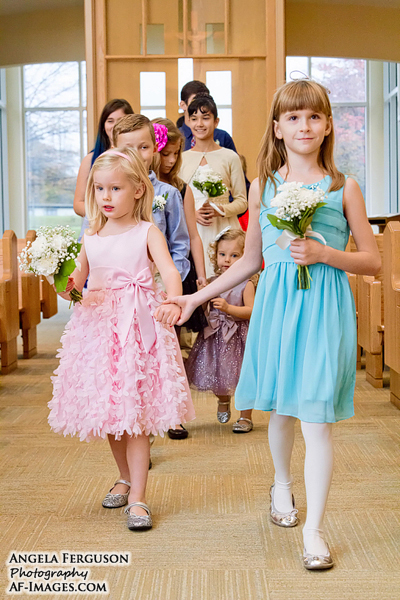 Taking into consideration the feelings of their extended families, they chose to have a small wedding with just their 12 adult children and 16 grandchildren. Two of G’s son’s were groomsmen and two of S’s daughter-in-laws were bridesmaids. 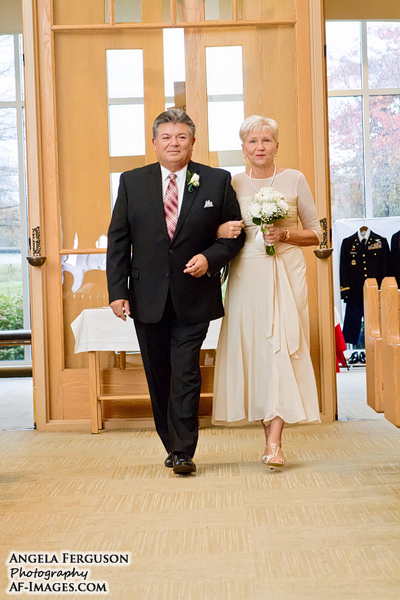 Their 16 grandchildren, aged 2-12 all got to walk down the aisle. The bride and groom didn’t care if chaos ensued with this plan because, to put it simply, “They’re family. Life isn’t perfect", said the groom. "Having been through what we've been through, it puts things into perspective about what's important", said the understandably teary bride just days before her wedding day. They both still love their deceased spouses and appreciate the time they had with them and love the children and grandchildren that came from their separate marriages. Now the couple looks forward to spending the rest their lives loving and appreciating each other as husband and wife. God sometimes works through us without us even realizing just what’s happening. Their marriage certainly feels like God’s providence. Wedding story and photos, Arnold, DC.